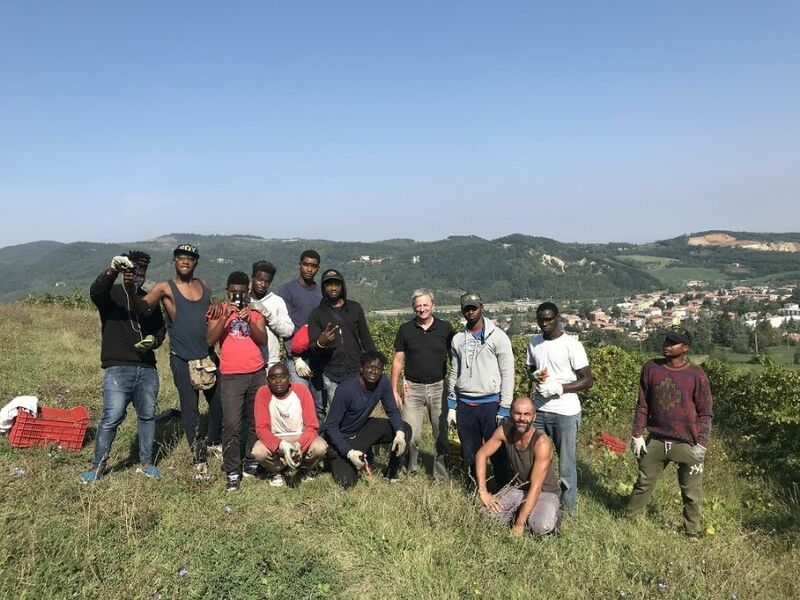 The cycle of training meetings of the "school in the vineyard" for the group of 15 refugees managed by the cooperative Ippogrifo concluded in September 2018 with the harvest activities. 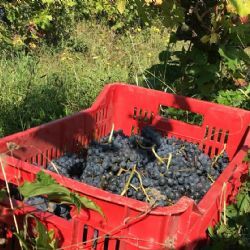 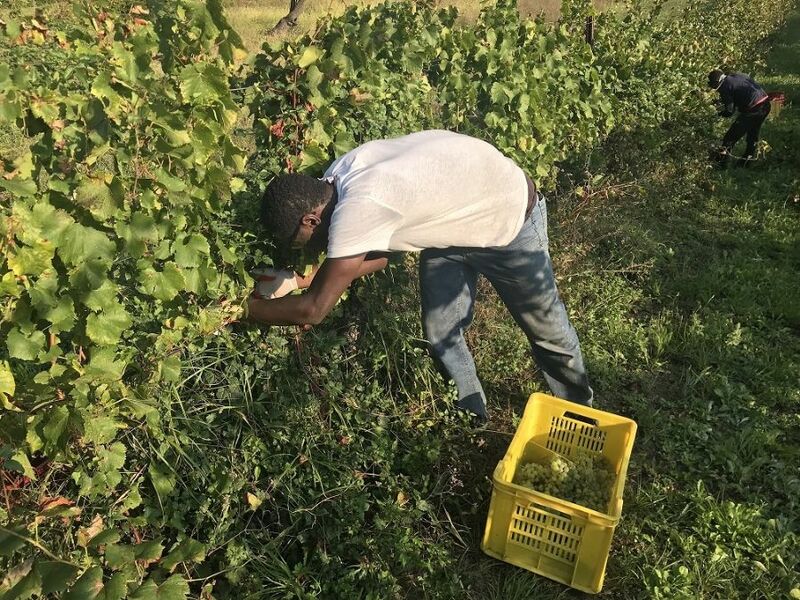 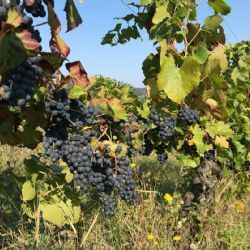 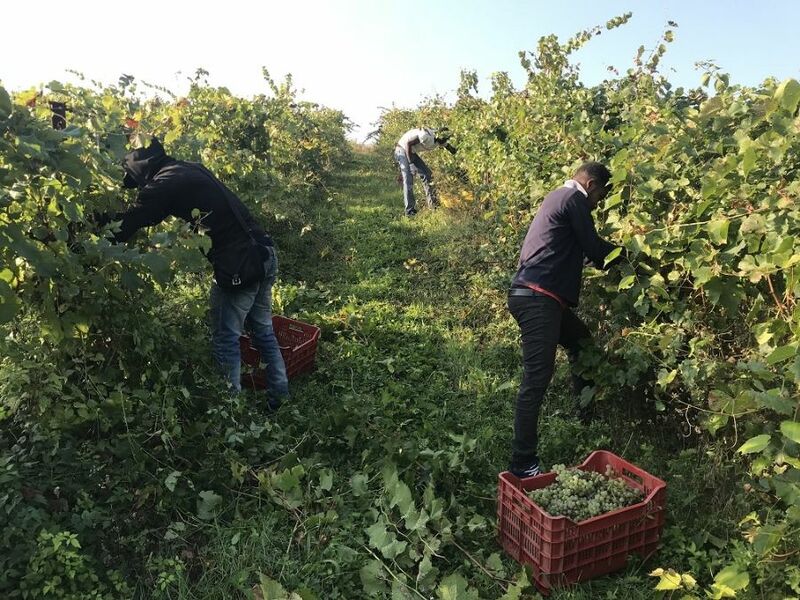 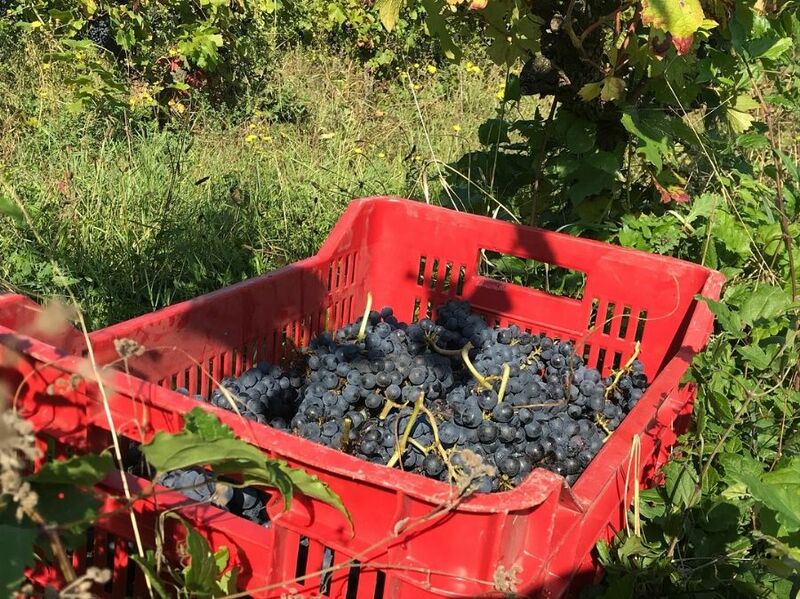 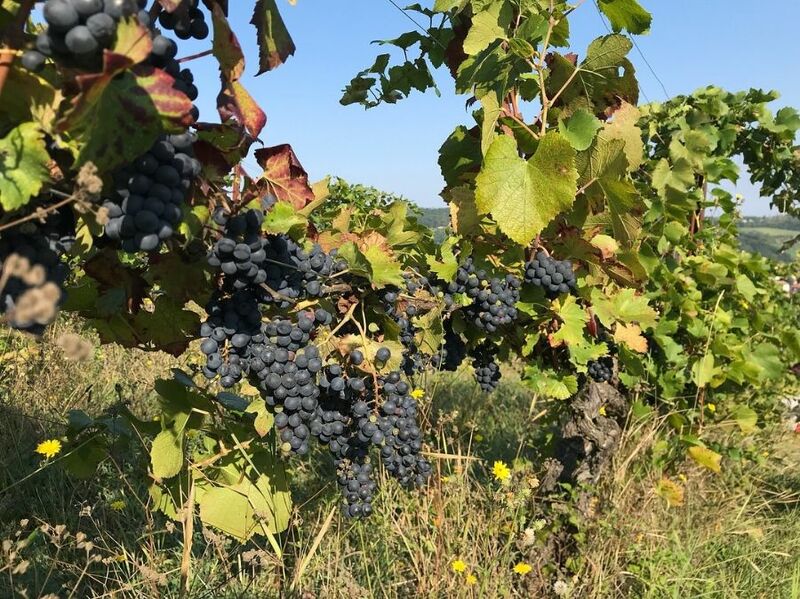 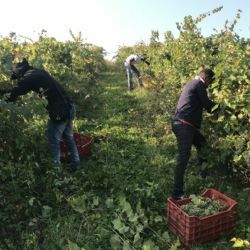 Following the indications and explanations of Mosè Scalas, an agricultural worker of the Azienda Agricola i Perinelli, the training participants got an experience of the harvest of white (Chardonnay) and red (Pinot Nero) grapes for the production of sparkling wines. 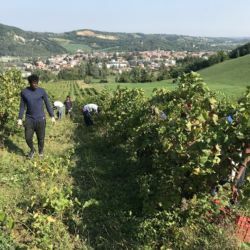 After collecting the grapes from the 8 rows of the vineyard, the refugees went down to the cellar to watch the grapes unload and follow the pressing. 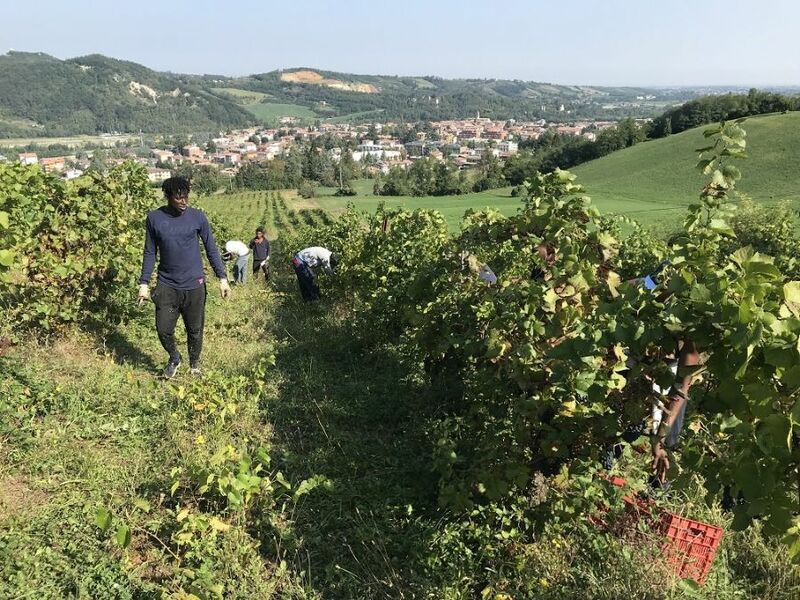 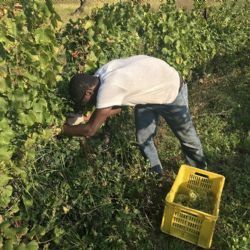 Thanks to the "school in vineyard" course proposed by Vinidea in the framework of the ValorinVitis project, asylum seekers were able to get to know closer one of the important occupational possibilities in the Piacenza area.